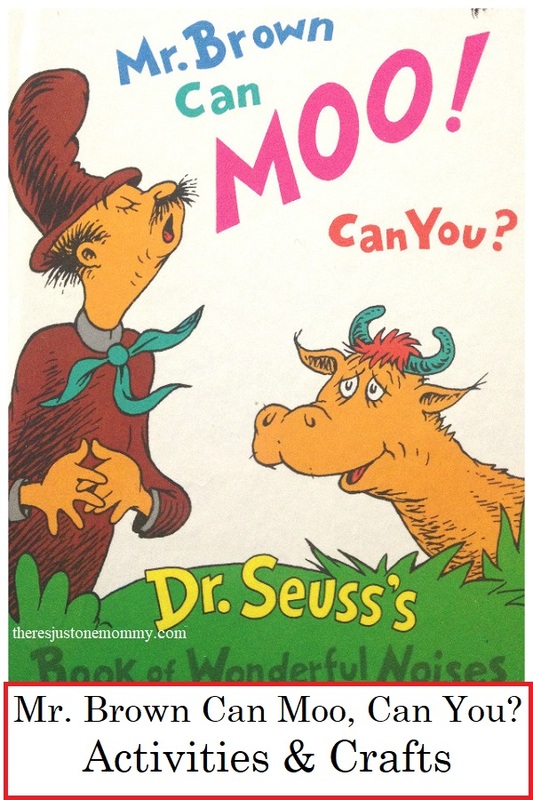 Activities Inspired by Dr. Seuss’s Mr. Brown Can Moo, Can You? Dr. Seuss crafts and activities are always popular in March, the month of the author’s birthday. But no matter what time of year it is, preschoolers love the characters and rhymes you can find within his books. Mr. Brown Can Moo, Can You? is a favorite when it comes to Dr. Seuss books for preschoolers and kindergartners. The book is full of funny sounding words, inspiring giggles and a love of reading. These Mr. Brown Can Moo, Can You activities are a fun way to take that love of books even further. Affiliate links have been provided below. Click to see my full disclosure. Preschoolers and kindergartners love Dr. Seuss crafts like this paper plate Cat in the Hat. And kids of all ages will have fun celebrating Wacky Wednesday. This free printable Mr. Brown Can Moo, Can You activity will get kids up and moving while practicing reading skills. 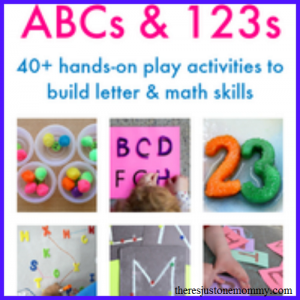 With 2 different versions you can choose the one that best fits your child’s skill level. Preschoolers will love this activity for Mr. Brown Can Moo that is perfect for circle time. Follow up with the sound box craft! Create your own Dr. Seuss character puzzle using jumbo craft sticks. This one is so much fun! Take the kids outside for your very own Mr. Brown Can Moo sound hunt. Download these free printable story cards from TPT to work on sequencing skills. Introduce onomatopoeia with this simple activity based on Mr. Brown Can Moo, Can You. Kids will love his super simple thunder sound experiment which was inspired by the classic picture book. Looking for a craft for the book? Make your own paper plate Mr. Brown. No matter which Mr. Brown Can Moo Can You activities you choose, the kids will have lots of fun with this silly book. Make Your Own Wocket for Your Pocket! Thanks for the ideas I will have to use some in my daycare. Visiting from Simple Homestead hop. Dr. Seuss books are always great for extension activities! Thanks for sharing these and the ones about the tiger at Booknificent Thursday on Mommynificent.com! I couldn’t seem to comment on that other one for some reason.